Our handmade concrete patio products include low bowls and woks that are formed from poured concrete, which is pressed into our uniquely designed molds. Our woks or low bowls give a finished touch to any area, both indoor and outdoor, without needing construction or cumbersome installation. They complement both commercial and residential pools, patios, entryways, and landscapes alike. In addition to our precast molds, we also design custom concrete containers. Our bowls come in a matte or sealed finish, are available in any of our color options, and are made in different shapes and sizes to fit your needs. Our concrete scupper bowls are formed from our own custom designed concrete molds. Scuppers provide a unique accent to any planter or fountain. They can enhance fountains with their unique waterfall effect. Our concrete scuppers come in a variety of sizes, including different spill sizes. Please < href="https://www.sonoranstonecreteaz.com//contact-us">contact us for information about how a scupper can enhance your outdoor living area. If you don’t see something you like here or in our gallery we can also design custom scupper bowls for your patio project or redesign. We specialize in manufacturing exquisite precast fountains from poured cement that will enhance any landscape or patio setting. With a fountain, your yard is not just a yard — it’s an oasis. Our fountains withstand both indoor and outdoor environments. 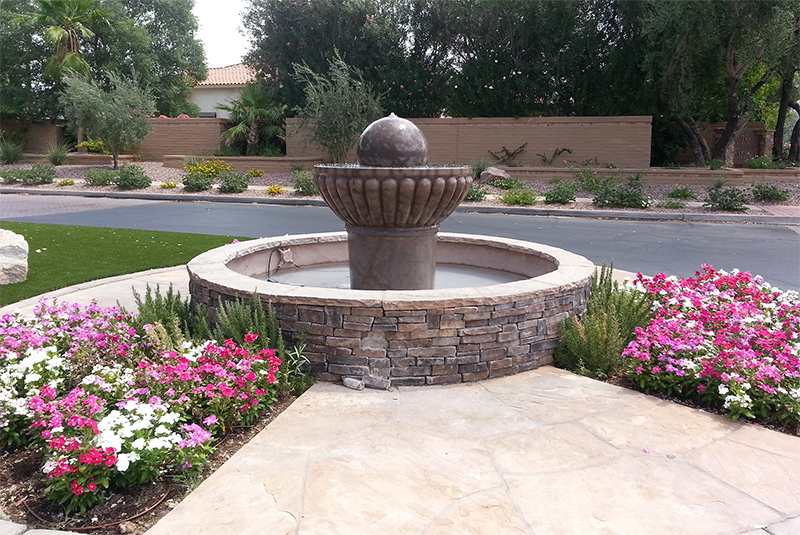 The Sonoran Stonecrete difference can be seen in the added details of our concrete landscaping fountains. These include improved water flow performance, the installation of water-fill valves, lighting add-ons and algae & splash maintenance. You can choose from a variety of different fountain types including classically inspired ones, tiered fountains, and the traditional estate look, among others. Complete your spa, outdoor fireplace, garden, gazebo or any other landscape with one of our beautiful outdoor water fountains. Most fountains are too large for standard shipping, so please contact us for delivery options. At Sonoran Stonecrete we offer many ways to enhance the natural beauty of your home or business with our concrete patio products. Use a bird bath to welcome the birds to your outdoor area by providing them a source of water for bathing, drinking and cooling off. Sonoran Stonecrete has a broad selection of hand sculpted cement birdbaths to suit any style. Each birdbath is manufactured from high-quality, weather resistant concrete with unmatched durability. You can also complement your backyard, patio or garden with any of our concrete figurines. From tiki heads, to turtles, to the ever-classic gnome you can find almost anything to bring a sense of fun to your yard at Sonoran Stonecrete. If you don’t find what you are looking for among our options ask us about our custom work! With the use of planters you can bring your patio, entryway, deck, landscape or other outdoor area alive with the beauty of blooming flowers and lush greenery. Get a unique concrete planter from Sonoran Stonecrete. Our precast concrete planters combine form with function with an assortment of designed styles, color options and finishes (matte and sealed). All of our landscaping planters offer a combination of structural integrity and beautiful design. If one of our existing planters does not meet your needs, we also offer custom planter design for the planter of your dreams. Our precast planters are more than quality concrete site furnishings, they provide a polished look and enhance any environment. 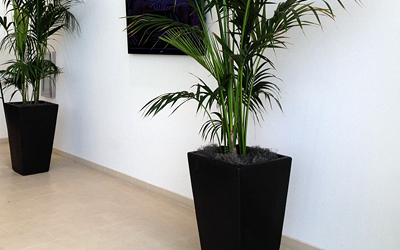 Most planters are too large for standard shipping, so please contact us for delivery options. Create comfortable, inviting seating in an outdoor environment! We carry a wide selection of durable precast concrete benches available in variety of styles and colors, as well as either a matte or sealed finish. Our cement benches suit all applications including typical park benches, garden benches, picnic benches and any other type of landscape bench. We have benches with minimalist design, benches with backs or no backs, and benches with lengths to fit any space. In addition to our full portfolio of precast concrete patio benches, we also manufacture custom concrete bench designs in order to meet every client’s unique needs. With all the bench styles, finishes and colors available, you’re sure to find what you need for all of your outdoor seating needs. Contact Sonoran Stonecrete to order one of our premium precast concrete benches for your courtyard, hospital, university or transit stop today! Benches are too large for standard shipping, so please contact us for delivery options. Precast concrete columns add timeless appeal to any landscape or interior area. Sonoran Stonecrete’s precast columns are made with poured concrete and cast with fiber glass, water reducer and concrete additives that reinforce the strength. Their durability is unmatched, perfect for high traffic areas and areas exposed to all types of weather. Our pillars can be used in many projects to beautify your home or place of business. They make beautiful bases for fountains or to hold our woks and low bowls. Take a look at our gallery to see some of our completed pillars. Our pillars come in various sizes and we can also combine them to create the height of pillar that you need for your project! We’ve combined beauty with durability in our selection of precast waste containers and ash receptacles. Sonoran Stonecrete manufactures quality concrete trash cans and trash receptacles, for commercial and public use. Our receptacles are made of the highest quality, poured cement and have unmatched durability that withstand the test of time. All receptacles come in any of our available color options and are available in either a matte or sealed finish. Order a concrete trash receptacle from our catalog of products, or work with one of our designer to create custom container. Most receptacles are too large for standard shipping, so please contact us for delivery options. We offer a variety of additional concrete products, as well as accessories that accompany our other products. All of our precast concrete accessories are made to match our other concrete products. They are available in any one of our color choices and come in one of two finishes (matte and sealed). We also offer custom colors, so ask us if you don’t see something you like. Stop by our location to take a look at what we have in stock and place your order today. Some accessories are too large for standard shipping, so please contact us for delivery options. We offer a variety of pre-cast fiberglass molds, from standard to one-of-a-kind, available in all shapes and sizes. Sonoran Stonecrete’s fiberglass molds have a number of benefits. Use of our molds provides reliable reproductions with a fraction of the effort. Our molds can be used to make 3-D artwork, fountains, planters and ornaments, among other options. Another benefit is added convenience – there’s no longer the hassle of transporting extremely heavy precast concrete pieces. Instead, our fiberglass molds allow for the pour and creation of concrete pieces on job sites. Order one of our existing molds or contact us to develop a custom form. The molds can be shipped to anywhere in the United States, where you can pour your own concrete pieces on any job site. 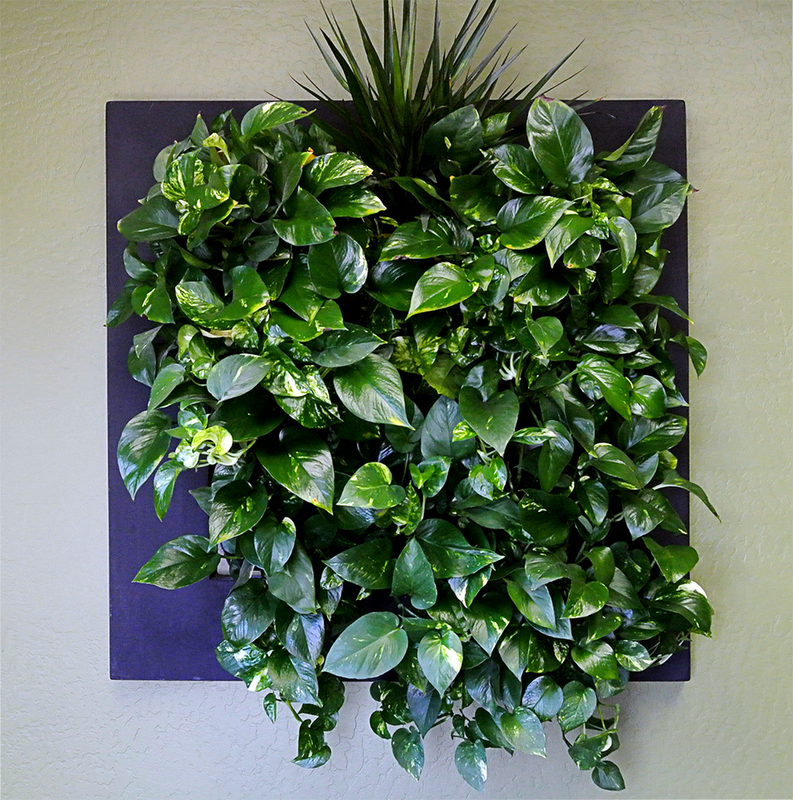 We specialize in creating unique living wall displays that closely mimic nature and allow plants to grow to their full potential without limitations. Living walls or green walls are self-sufficient vertical gardens that are attached to the exterior or interior of a building’s wall, rail, or fence. This landscaping trend serves as a creative way to showcase fresh plants and flowers in your home or commercial property, while enjoying their many benefits. Fill your space with the beauty of colorful flowers while the natural air purifying capability of plants cleanses your environment. Each living wall is a unique combination of a multitude of colors, textures and sizes that are found in nature. The plants of your choosing are rooted in a structural support which is fastened directly to the wall, fence or rail itself. Take advantage of this beautiful breathtaking landscaping option, and order your living wall from Sonoran Stonecrete today! Contact us for additional information on our living walls. At Sonoran Stonecrete we are now offering glass-topped fire tables in addition to our wide range of concrete patio products. Our fire tables make a beautiful centerpiece for any backyard or patio and make a great conversation starter! We can create a fire table for you in any of our set product colors or we can create them in custom colors! We will sit with you and design a fire table to your specifications. These products come in round or square and we can build them to your custom size. We can also fit them with propane or natural gas. We are also happy to recommend colors, sizes and fuel types to suit your backyard or patio space if you are having trouble deciding. Contact us for additional information on our fire tables.